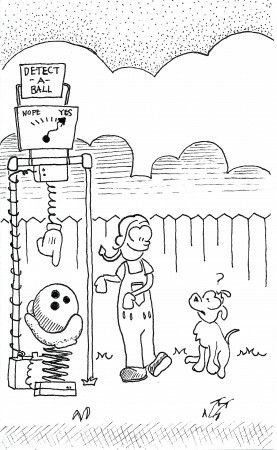 Meanwhile, the dog is thinking that he was already a perfectly good ball detector. I’m the captain of contraptions. I’m the master of machines. helps keep all your cooties clean. Pick this pack of liquid lettuce. All my gizmos are ingenious. Pick one out and have a try. If you like it, you can have it!